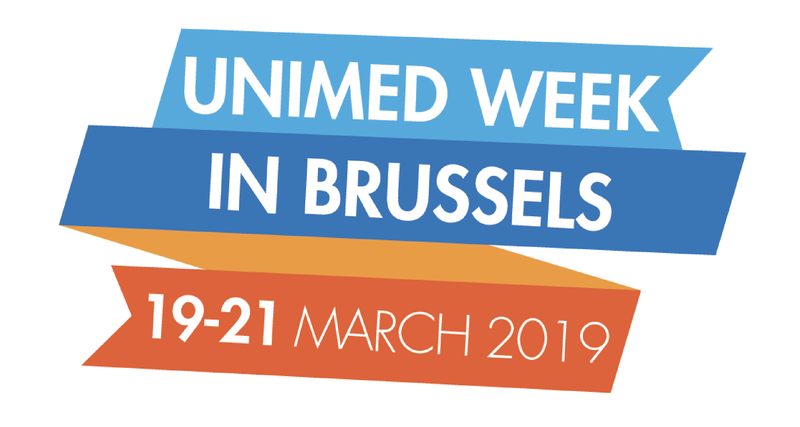 The fourth edition of the UNIMED WEEK IN BRUSSELS will take place from 19 to 21 March 2019. The UNIMED WEEK in Brussels is a forum for discussion and networking and an occasion for our associates to encounter European and international institutions and learn more about their current and future programs. In 2019 the UNIMED WEEK will be the occasion for our associates to meet representatives of the European Commission and discuss about the evolution for the upcoming period 2021-2027, of policies focusing their activity on the Euro-Mediterranean region aiming at foster the cooperation and improve the integration at all levels. Work sessions will be organised with representatives of DG EAC and other important experts of the European Commission sectors. The UNIMED activities and projects are increasingly recognized by the European Commission as well as by other international institutions and this initiative in Brussels will therefore be an opportunity to look at the past, to go on through the course and to further strengthen our network. Building on last years’ experience, we hope the UNIMED WEEK IN BRUSSELS 2019 will be a good opportunity to get even more people engaged in sharing and discussing different point of view on cooperation with the Mediterranean region. We look forward sharing with you another edition of the UNIMED WEEK IN BRUSSELS and UNIMED Staff is available for all the information you might need.